This week's stories are brought to you by a very special guest sponsor, Fungoil! 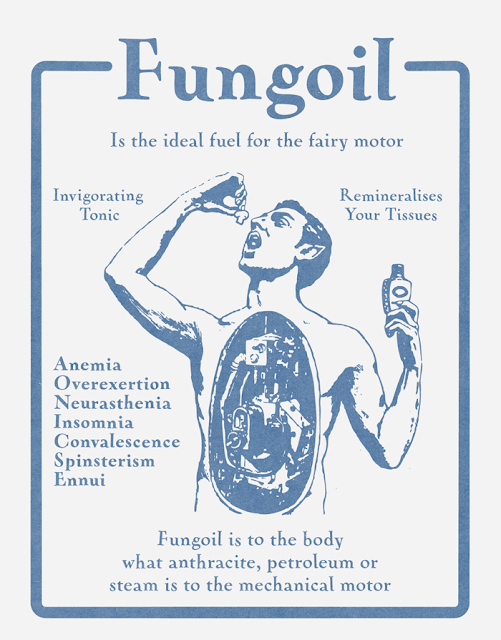 Fungoil, "is the ideal fuel for the fairy motor." Invigorating tonic, remineralises your tissues! Fungoil cures anemia, overexertion, neurasthenia, insomnia, convalescence, spinsterism, ennui and more! Fungoil is to the body what anthracite, petroleum or steam is to the mechanical motor.